PCMK Laser is part of a set of award winning coaching methodologies called Power Coaching with Mind-Kinetics. 6 Special PCMK Methodologies For Those Quick Coaching Moments - PCMK Laser is part of a set of award winning coaching methodologies called Power Coaching® with Mind-Kinetics®. Welcome to PCMK Lasers! We are delighted to share the PCMK Laser booklet for your use. 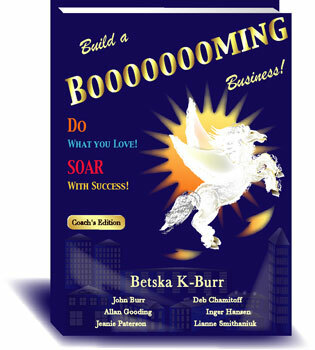 Use these methodologies anywhere, anytime, to coach your employees, peers, family members, friends and yourself! PCMK Laser is part of a set of award-winning coaching methodologies called "Power Coaching® with Mind-Kinetics®". 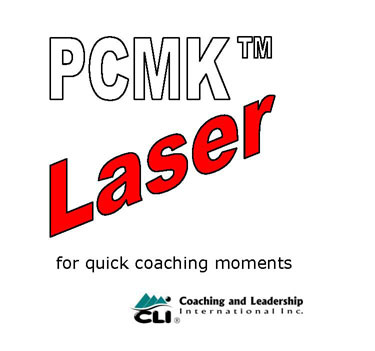 Many PCMK Methodologies require 60 or 90 minutes to complete however these PCMK Laser tools are designed for those quick informal coaching moments. For example, you may be asked to coach the person sitting next to you on an airplane or you may be working with a salesperson on the road and a quick coaching moment is all you have. 1. provide you with quick conversational coaching questions when all you have is a 7-20 minute coaching window. 2. invite the Client to generate their own innovative solutions to challenges and goals - with little to no mentoring required from the Coach. 3. facilitate immediate Client action. 4. encourage greater focus hence greater results. 5. instruct on the difference between left brain and right brain questioning. Enjoy the benefits of PCMK Laser! Note: Always create "SMART" goals within your coaching plan. "SMART" = Specific, Measureable, Attainable, Realistic, Time-Based goals.